Christian Fletcher has been a professional photographer for 27 years. When reflecting on this timeframe, he finds it interesting to think that he was born back before man walked on the moon, before the mobile phone, before the computer and the Internet, and, well, before digital anything. Although he will say this doesn’t make him feel old, only ‘experienced’. He started his career by working two non-photography-related jobs to pay the bills, while taking black and white shots on his Roliflex SL35 and developing them in a darkroom in his parents’ house. His initial paid gigs included commercial, portrait and wedding photography, but after six years, he was close to giving it all up when he wandered into Jill Murch’s gallery in Esperance and found new inspiration in landscape photography. He returned to Dunsborough and initially sold his images at local markets and in local businesses. Once his sales increased, he opened his galleries in the early 2000s and Christian Fletcher Photo Images was born. In 2010, Christian invited four fellow photographers, whom he had great admiration for, to join him in a collaboration to shoot in the Pilbara in Western Australia. The Ninety Degrees 5 (ND5) collaborative was born, and includes photographers Les Walkling, Tony Hewitt and Peter Eastway and videographer Michael Fletcher (http://nd5.com.au). Their work engages with nature and culture as landscape, memory and myth. It encourages and reinforces public concern for the fate of the earth, and our responsibility to act on that awareness. The ND5’s other projects include a series of landscapes in the South West of WA, and a series of aerial shots in Shark Bay (a UNESCO World Heritage site). In Christian’s most recent work, which was inspired in part by the images of Edward Burtynsky, he has taken to the air in small, cramped and noisy light-airplanes to capture images of the industrial wastelands that dot the Western Australia landscape. These images evoke a series of somewhat conflicting emotions—from the beauty of the composition and colour, to the disbelief and shock that the subject matter is of the utter destruction of our natural landscapes. It is this work that earned Christian the inaugural 2014 International Landscape Photographer of The Year award (http://www.internationallandscapephotographer.com/). Christian holds a series of online and in-person workshops both locally and internationally. His website lists his latest workshop locations (http://christianfletchertraining.com). He does it for the love of passing on his skills, but admits that there is a ‘bit of a perk’ to traveling around the world to places like Cambodia, Iceland, Antarctica, and the many amazing locations in Australia for ‘work’. Christian lives in Dunsborough, WA with his wife and two children. Christian’s work has been recognised many times over the years. 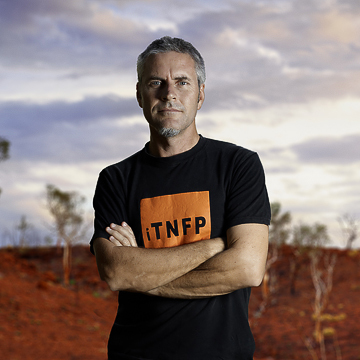 In 2011, the Australian Institute of Professional Photography (AIPP) awarded him both the Western Australian and the Australian Professional Landscape Photographer of The Year. In 2014 he was again awarded the Western Australian Professional Landscape Photographer of The Year. Most recently he won the inaugural 2014 International Landscape Photographer of The Year award. His galleries have also won tourism awards for excellence. Christian uses the Phase One camera system (80 pixels) with the IQ280 digital back and a range of Phase or Schneider lenses. He states that it is the ultimate machine for the job of shooting landscapes. He also carries a little Sigma SD H Quattro, stating that “it is the closest thing to shooting medium format in a compact camera”. He also “cannot do without” his B&W 10 stop ND filters and his Kinotehnik LCDVF loupe. At home he edits on a Mac Pro and a Macbook Pro and uses a Wacom Cintiq 27HD Touch as his main editing screen. When traveling, he uses the Wacom 13” Companion Hybrid. Christian uses Epson printers (10070 and a 20070), with his papers of choice being Canson Platine, Rag Photographique and Baryta.